An UPS system is an alternate or backup source of power with the electric utility company being the primary source. The UPS provides protection of load against line frequency variations, elimination of power line noise and voltage transients, voltage regulation, and uninterruptible power for critical loads during failures of normal utility source. An UPS can be considered a source of standby power or emergency power depending on the nature of the critical loads. The amount of power that the UPS must supply also depends on these specific needs. These needs can include emergency lighting for evacuation, emergency perimeter lighting for security, orderly shut down of manufacturing or computer operations, continued operation of life support or critical medical equipment, safe operation of equipment during sags and brownouts, and a combination of the preceding needs. The UPS selection process involves several steps as discussed briefly here. Prior to selecting the UPS it is necessary to determine the need. The types of loads may determine whether local, state, or federal laws mandate the incorporation of an UPS. An UPS may be needed for a variety of purposes such as lighting, startup power, transportation, mechanical utility systems, heating, refrigeration, production, fire protection, space conditioning, data processing, communication, life support, or signal circuits. Some facilities need an UPS for more than one purpose. It is important to determine the acceptable delay between loss of primary power and availability of UPS power, the length of time that emergency or backup power is required, and the criticality of the load that the UPS must bear. All of these factors play into the sizing of the UPS and the selection of the type of the UPS. It must be determined if the safety of the selected UPS is acceptable. The UPS may have safety issues such as hydrogen accumulation from batteries, or noise pollution from solid-state equipment or rotating equipment. These issues may be addressed through proper precautions or may require a selection of a different UPS. The availability of the selected UPS must be acceptable. The criticality of the loads will determine the necessary availability of the UPS. 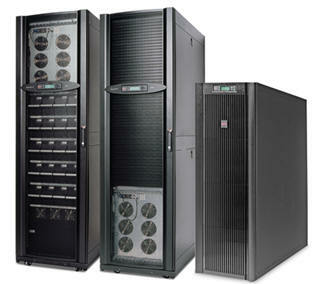 The availability of an UPS may be improved by using different configurations to provide redundancy. It should be noted that the C4ISR facilities require a reliability level of 99.9999 percent. The selected UPS must be maintainable. Maintenance of the unit is important in assuring the unit’s availability. If the unit is not properly cared for, the unit will be more likely to fail. Therefore, it is necessary that the maintenance be performed as required. If the skills and resources required for the maintenance of the unit are not available, it may be necessary to select a unit requiring less maintenance. The selected UPS must be affordable. While this is the most limiting factor in the selection process, cost cannot be identified without knowing the other parameters. The pricing of the unit consists of the equipment cost as well as the operating and maintenance costs. Disposal costs of the unit should also be considered for when the unit reaches the end of its life. If these criteria are not met, another UPS system must be selected and these steps re-evaluated. Great work taking fundamental aspects into considerations.Many other aspects also need be considered but then its well presented.